Emergency situations are stressful, and when it’s a dental problem it can be even more frightening if there is blood or tooth knocked out. The first thing to do is to remain calm because your emergency dentist in Reston is here to help. Here are some helpful tips on handling common dental emergencies until you can get to your dentist so you don’t feel so overwhelmed. If you have a tooth that is broken, gather as many pieces as you can and contact your dentist right away so they can assess the best options for restoring your tooth. If your tooth is chipped, contact your dentist anyway. 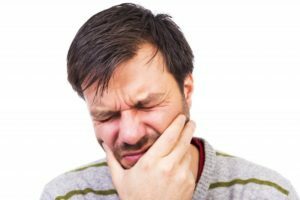 If it’s not causing discomfort, you may not require immediate attention, but it still should be smoothed at some point in order to avoid injury to your gums or soft tissues. If you are experiencing dental pain or sensitivity contact your dentist right away. Dental pain is often an indicator of an infection in your tooth. Dental infections are caused by trauma, injury, fractures, or decay that reaches the nerve of your tooth, and it causes severe pain. This pain and your infection won’t go away without treatment, so please be proactive about contacting your dentist because root canal therapy may be able to eliminate your pain and infection and preserve your tooth. Probably one of the scariest emergencies is having your tooth knocked out. Time is definitely of the essence in this case as your dentist has the best chance of preserving your tooth the quicker they can treat it. Handle your tooth by the crown being careful not to touch the root. Place it back into its socket if possible. Otherwise use milk to transport it as this will keep cells alive and moist. If an old crown or filling breaks or falls out, it may or may not cause you discomfort. In any case, contact your dentist as your restoration will need to be repaired or replaced in order to protect your tooth from further damage. Remember, your emergency dentist in Reston is here for you! Contact Virginia Dentistry By Design right away to be seen as soon as possible. Dr. Sonia Dilolli provides comprehensive and comfortable dentistry to patients in Reston, Herndon and the surrounding communities in VA. She offers convenient morning and evening hours and makes every effort to offer emergency patients same-day care if needed. To contact Dr. Dilolli, call our office at 703-478-9574 or reach us online through our website.